Users need a mechanism that will enable them to quickly access specific sections of a site or application bypassing the navigational structure. ▲ The fat footer of mint.com has a high focus on conveying a sense of trust in that the service is secure. Use to shortcut an otherwise hierarchical structure of a website. Use when there are specific pages or functions that are more frequently used than others parts of the website. Use the shortcut box to show these choices in order to shorten the path for the users. Use when you want shortcuts to pages that are possibly on different hierarchical levels of the page. Can also be used as navigation when short on space, although it is not advised. End a page by providing relevant links to other sections of your site. About us link: Link to your “about us” section, which then includes basic information about your company. Terms of service: If you provide a service or a product, placing a link to it in the footer is a standard location, why users anticipate it being there. Site map: Provide quick links the most important pages of your website. Contact us link: Make sure your users have a way to get in hold of you. If you have a “Contact us” page, users expect to find a link to it in the footer. This is also a critical point in building the trustworthiness of your site as it is displaying your physical address. Address and phone number: Show that you are real. If you have a physical business, offer phone support, or have a reason for people to mail you things, putting that information in the footer is an anticipated and appropriate location. Social links: Link to any social presences you might have on Facebook, Twitter, Pinterest, Instagram, and the likes. Keep visitors on your site for longer: end one experience by starting a new one. Provide easy and natural ways for users to continue their journey. By adding a shortcut to the most frequently used pages and functions, the path can be shortened and confusion can be decreased. The hierarchical structure of a website can at times impede the path to specific page or function of a website. By adding a shortcut to the most frequently used pages and functions, the path can be shortened: the number of clicks can be lessened and the confusion decreased. What does my user expect to see here? 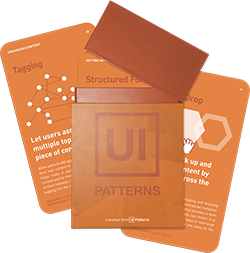 What is the next logical step in the user journey? What questions are my secondary or tertiary users still asking at the bottom of the site? 1 Fat footer round-up at UX Booth. I’ve been calling these “Sitemap Footers” because they often replace the function of the old “sitemap” link. These Fat Footers are also useful for covering ADA requirements. These footers do make great sitemaps -as long as the site structure is not too large. Also, CTA like a newsletter signup can make a second appearance in the footer as well. Nobody seems to use sitemaps. I personally love when I see a well structured footer with navigation. I like these fat footers and I want one. Anyone know where I can get the code? Or perhaps you want to design one for me for a stipend? I prefer not to refer to them as a “sitemap footer” as they are a departure from the hierarchical structure of the main navigation and often a subset of what I would normally show in a sitemap. There are scenarios on smaller sites where the footer ends up being equivalent to the sitemap but I think there is a difference between exposing select items in the footer and the full breadth that a sitemap shoots for. Fully aree with previous comment. Sitemaps and fat footers are just different. Another issue is that for small websites could be almost equal. The definition for fat footers on this page is clear.